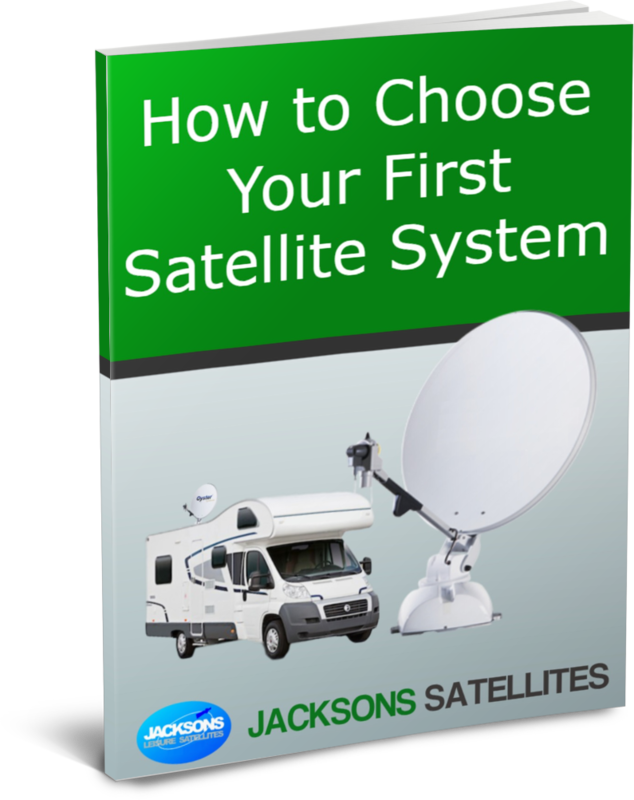 At Jacksons we understand that buying a satellite system for your motorhome or caravan is a big investment and that's why we offer you unparalleled levels of service starting with system advice right through to your installation and help on the road. 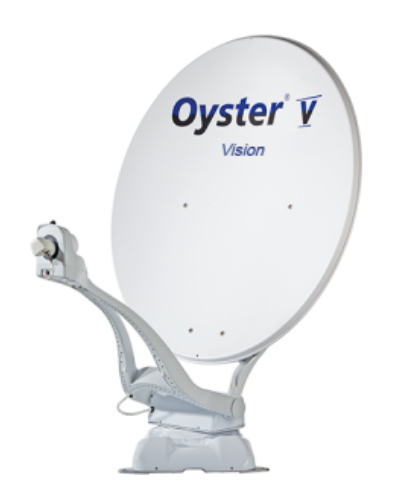 All of our Satellite systems have to be ordered over the phone so that we can discuss your specific requirements with you before you purchase. Don't worry we're friendly and won't put you under pressure to buy. We simply want to help you make the right choice whoever you buy from! 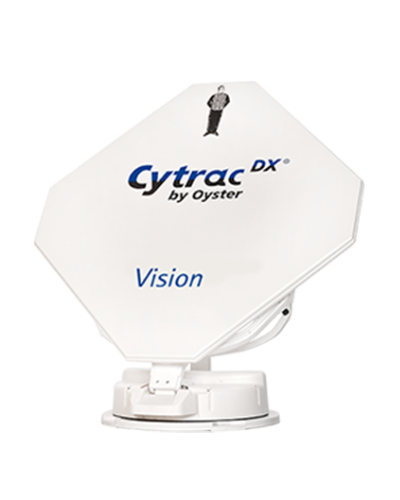 We only supply industry leading systems that can be relied on to deliver you high quality pictures for years to come. All of our products come with up to 3 years guarantee and a 24/7 helpline. And in the unlikely event that you find a better quote for the same system elsewhere, Robert will match that price! We believe that our installation service is a real differentiator. Installation is an art. We don't cut holes in your work tops or leave bundles of wires showing. Installation is where fitting experience really counts. We're often called to put other installers' work right. Our Nationwide Installation Service is performed by experienced in-house fitters and comes with a 5 Year Warranty ... we literally guarantee that you'll be overwhelmed with our installation and after-sales service! In this free guide, Robert shares his wealth of knowledge to ensure you make a well informed purchase that you won't regret. 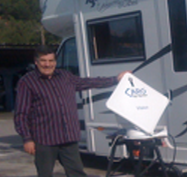 Jacksons Leisure Satellites is owned and run by Robert Jackson with the help of his family. The Oyster was removed from the other van last week and refitted yesterday to the new van. The work was carried out by Robert Jackson in Wakefield. As with the previous installation, a job well done, and tested for me before I took the van away. 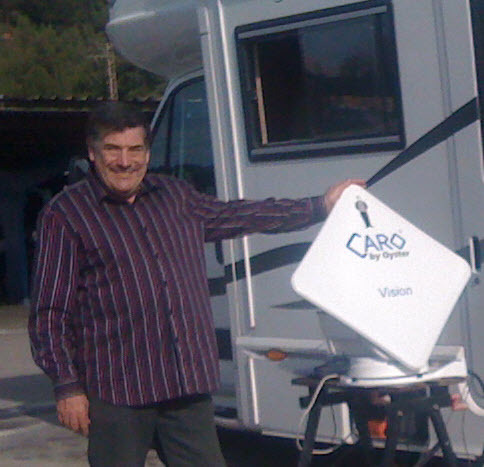 The satellite programs can be viewed on the TV and also via the monitor, which serves are a reverse aid. The two can be viewed at the same time. Whilst I was there, a customer 'phoned who, by the sound of it was struggling to get reception overseas. Hearing Robert diagnose the problem by phone is certainly a testament to his product knowledge. As a member of the trade I would second that! Robert and his family are 100% genuine. We know of several people who have had problems with their Oysters, people that haven't bought from Robert, yet he has happily carried our repair and maintenance work for them, often free of charge just to be helpful. We now purchase our Oysters from them as their back up is so good, and we can put any technical question to Robert and get an immediate straight answer. Excellent!